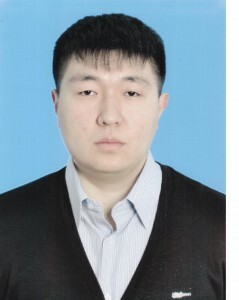 Biography: In 2016, he graduated from Karaganda State Technical University (KarGTU, Karaganda) with a degree in Transportation Management and Management in Industrial Transport, received a Master of Science qualification. Since September 2016, currently is an employee of the Department of Industrial Transport “them. prof. A.N. Daniyarova teaches the following disciplines: “Unified transport system”, “Master plan and transport of the enterprise”, “Train control system”, “Technological processes of loading and unloading operations” and “Rules of technical operation and safety of transport”.